The weather has not gotten quite good enough for a hike in the mountains. Well, maybe for some people who don’t mind chilly temperatures and trudging through a significant amount of residual snow, it’s time to get out there. But, that is not me. I love the outdoors and outdoor recreation, but I am not a fan of enduring the cold. So, with this weekend being somewhat nice (highs near 60 in Denver, which means 30s and 40s in the higher terrain), I figured this is a good time to take a drive along the famed Peak to Peak Highway. The Peak to Peak Highway is a popular cycling route too, and sometime in the future I think I want to try it. But, I need to get better at climbing. The Peak to Peak Highway runs from Blackhawak, CO, the town that has all the casinos (along with Central City) to Estes Park, CO, a resort town adjacent to Rocky Mountain National Park. 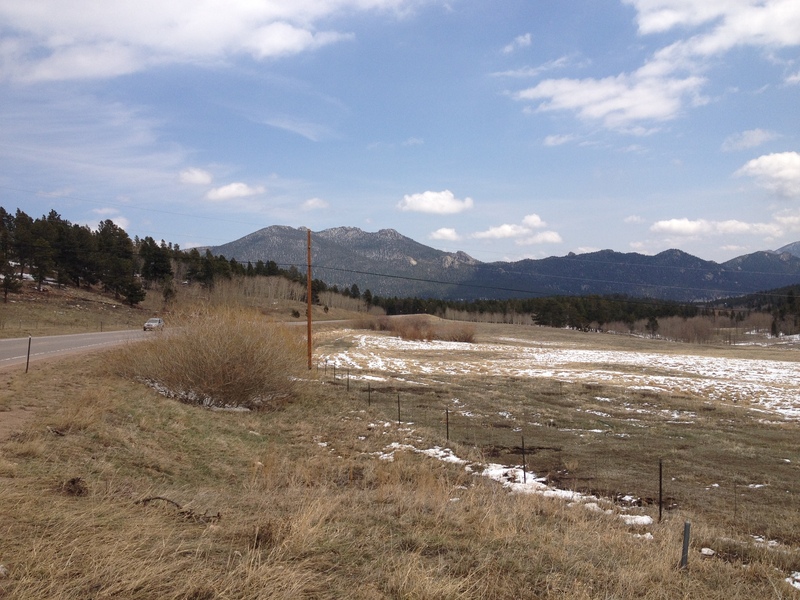 In between it runs through a lot of recreation areas, as well as the town of Nederland, which is known for Eldora ski mountain, the ski resort people from the Boulder area go to when they don’t feel like driving farther to go to the better resorts. It’s 1600 foot vertical still blows anything in the midwest out the water, but is pretty small compared to the likes of Vail, Steamboat, Breckenridge, etc. It is also known for some recording studio where a lot of famous musicians recorded albums in the 70s and 80s. I also hear it is full of hippies. To get to the Blackhawk, the start of the Peak to Peak Highway, we decide to follow highway 6 West from Golden. 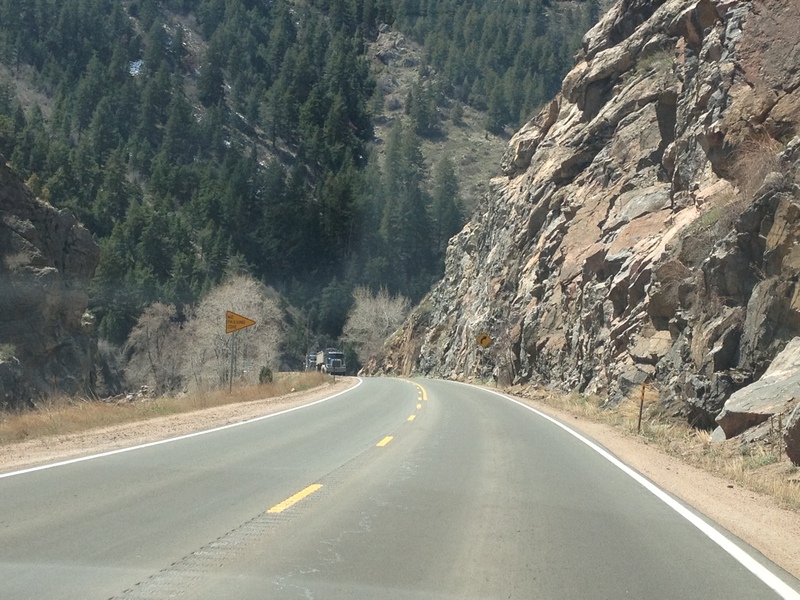 This road follows Clear Creek and actually offers up scenery that is significantly different than Interstate 70. 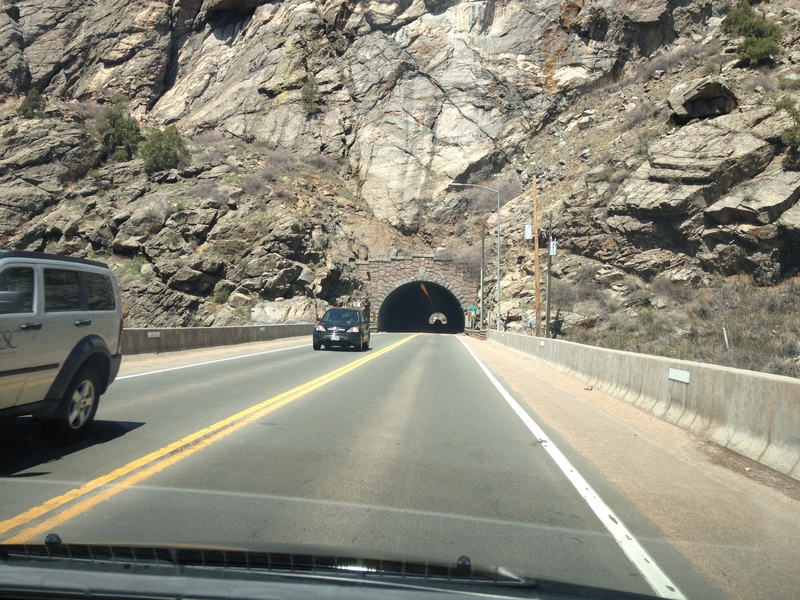 Following Clear Creek, the highway actually goes through three tunnels on it’s way to Blackhawk. The number of tunnels, as well as the length of the tunnels actually reminds me of the famous Elrory-Sparta trail in Wisconsin. I also notice a lot of people fly fishing at various spots along this creek. Fly fishing is distinct from standard fishing as people wade into the water. Fishing people tend to know which rivers, lakes, etc. have the best fish. Judging by the popularity of this particular creek, it is probably a good place to fish, but I don’t know for sure. I have been to Blackhawk before, but never entered from this direction, Northbound on 119 from highway 6 that is. I had always come in via Central City. Central City is easy to get to via Interstate 70 because they built a 4 lane road connecting their town to the Interstate. This 4 lane road, which I have taken several times, actually seems kind of out of place in the mountains where most roads are 2-lanes and wind around. Therefore, every time I had come into Blackhawk before, it had always been via Central City as opposed to from the South. Sometimes it seems to me that people are willing to go to somewhat great lengths to take Interstate highways as opposed to other roads. Maybe this is more of a midwestern thing. Back when I lived in Madison, Wisconsin, I would actually usually take U.S. highway 12 as opposed to I-90 to several places, including my parents house in the Northwest Suburbs of Chicago. In my calculations, I found that taking the Interstate would only save me roughly five minutes, and the mileage was almost 20 more. It wasn’t worth the additional gas money to me, let alone the tolls on I-90 in Illinois. However, I think for a lot of people taking U.S. 12 instead of I-90 would not even be a consideration. Additionally, to be completely honest, sometimes I actually get tired of the Interstate. Despite my willingness to make the calculation described above, often times the Interstate is the most optimal route somewhere. The interstate highway system was designed to go to places where people are most likely to want to go. But the Interstate represents a completely different environment than traveling by state and U.S. highways, or by bike trail. In your standard midwestern town along any Interstate highway, you often find your standard fast food restaurants, such as McDonalds, Wendys, and Arbys, right along the Interstate highway, next to, or even co-located with gas stations, for the ease of the traveler. However, typically along whichever state or U.S. highway travels through that town, you will enter the actual town center. This is where you find the local restaurants and shops that make that particular town unique. So, to me, travel by Interstate represents a significantly more controlled environment, and shows you a world where everything has been standardized. You find roughly the same dozen or so establishments everywhere you go. When traveling by other roads, or bike trails, you may travel across the same continent, but in some ways you see a different continent, where the world has not been standardized. As we begin to travel north along this Peak to Peak Highway, I kind of begin to see why it is a popular road for bicycles. There are a lot of good scenic views of mountain tops, and, while there are some difficult climbs along the way, large sections of the road seem somewhat flat, or only to contain small rolling hills. Blackhawk is at roughly 8000 ft. of elevation. The beginning of the route does involve a somewhat significant climb. We do not encounter too many bicycles today. This is possibly due to the chilly weather. In Denver, the temperature was in the mid 50s, as we ascended out of Blackhawk the temperature gradually dropped into the lower 40s. 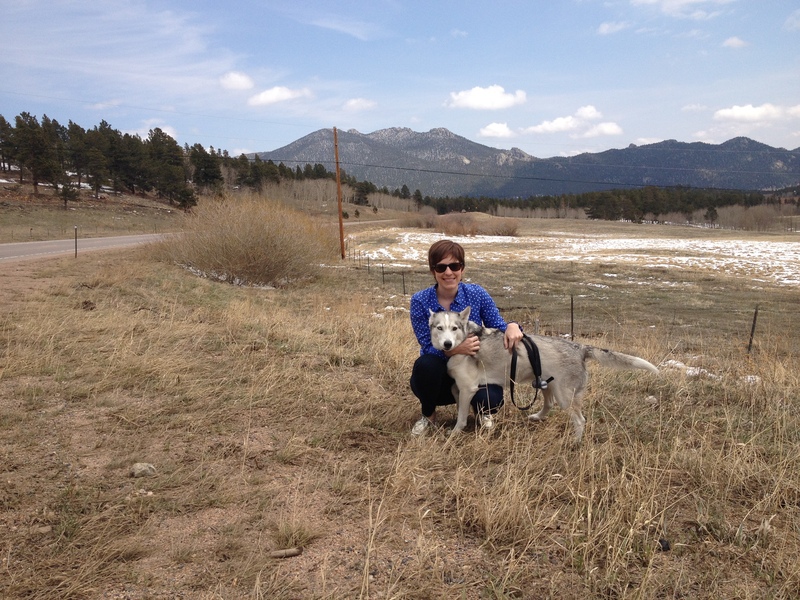 Now that I have lived in Denver for a while, I think that these in-between seasons, Spring and Fall, are a good time for recreation in and around the city of Denver itself (or Boulder, Fort Collins etc.). In the wintertime, I will often go up to the mountains to ski, and summertime is great for other activities in the mountains. But, on a day like yesterday, in which there are many, temperatures were pretty pleasant at 5200 ft. But, this lower 40s doesn’t really do anything for anyone. It is not cold enough for good skiing, but not warm enough to really enjoy a bike ride, hike, etc. Additionally, the farther up, and the farther North we went, the more snow we would encounter. We would see this especially in the trees, and in areas shaded from the sun. 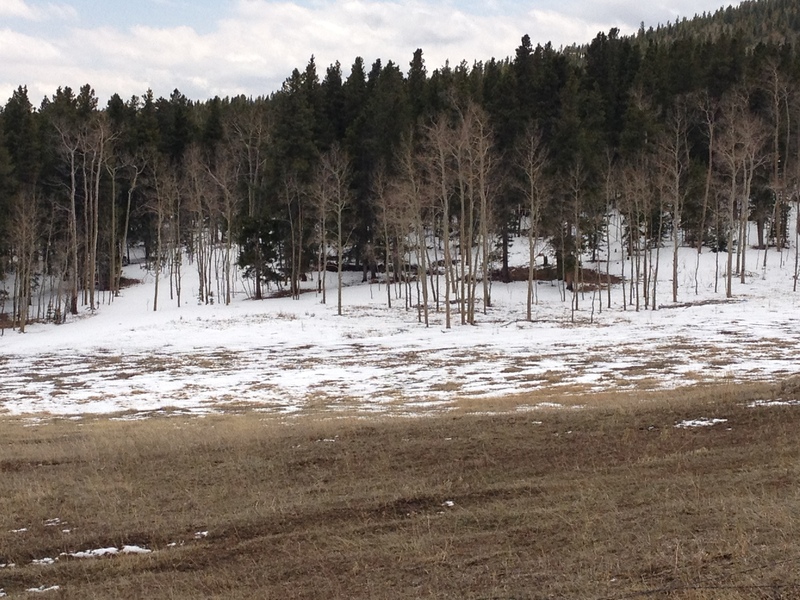 Most of the April snowstorms dumped the heaviest amounts of snow in the higher elevations and North of us, closer to the Colorado-Wyoming border. South of us got less in general, so there is a North-South gradient in mountain snowpack right now that we witness first hand on this venture. We passed through Nederland, and saw a significant amount of people walking around. I’ve only been there once before, so I do not know if this is typical. To be honest, Nederland is a town I cannot really figure out. I know they have a commuter bus that runs between Nederland and Boulder, and a ski mountain nearby, but the town does seem small- smaller than Breckenridge. But there always seems to be something going on there. 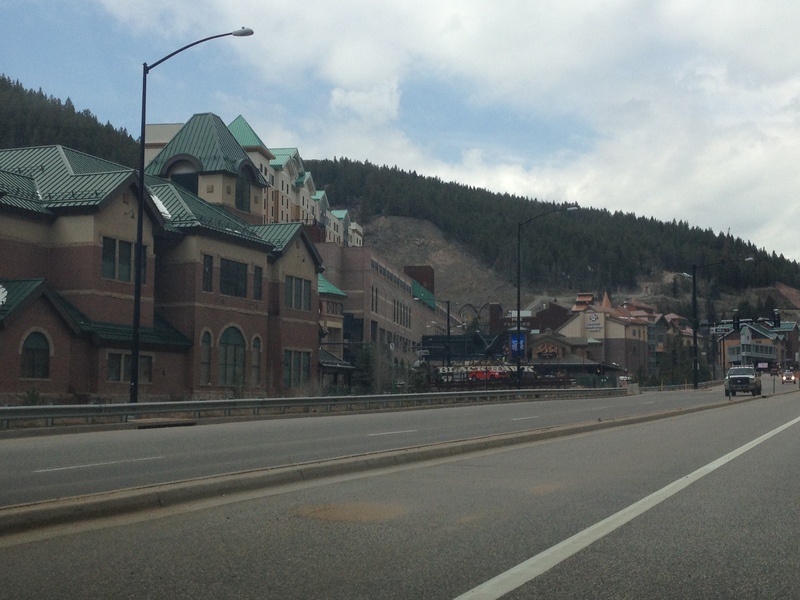 Eldora’s ski season is over, and we passed through town at roughly 1:15 P.M., yet, there were still a lot of people walking around. Is the town bigger than I realize? Is there some kind of other reason people generally get in their car and go to this town? Someday I will solve the mystery, but I hope it is not all for that recording studio. It did burn to the ground, so there really is nothing to see there. Maybe it is all the other resorts we see along the way? Yeah, that has to be it, I mean if you are staying at one of the campgrounds or lakes up the road, in Peacefull Valley, this would be the closest place to get food and such. 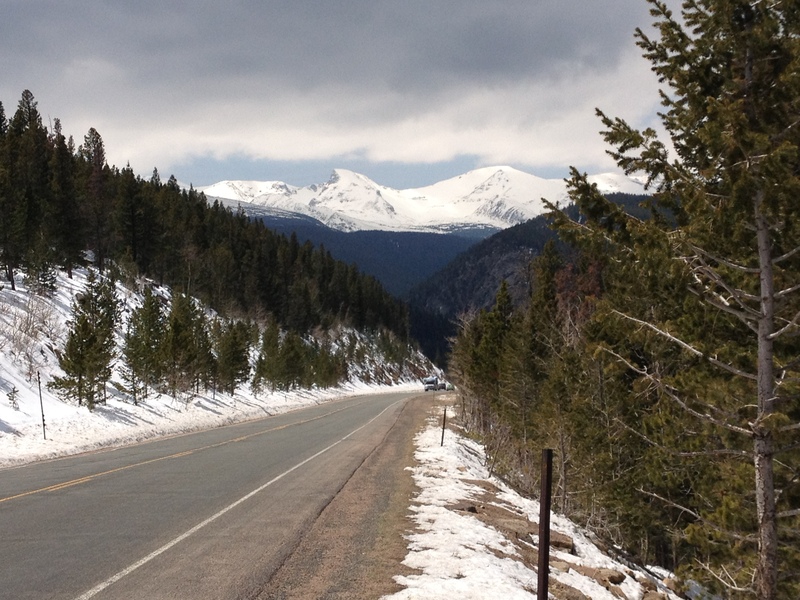 Headed north toward the Estes park side of the road, the views get even more amazing, and, more wintry. 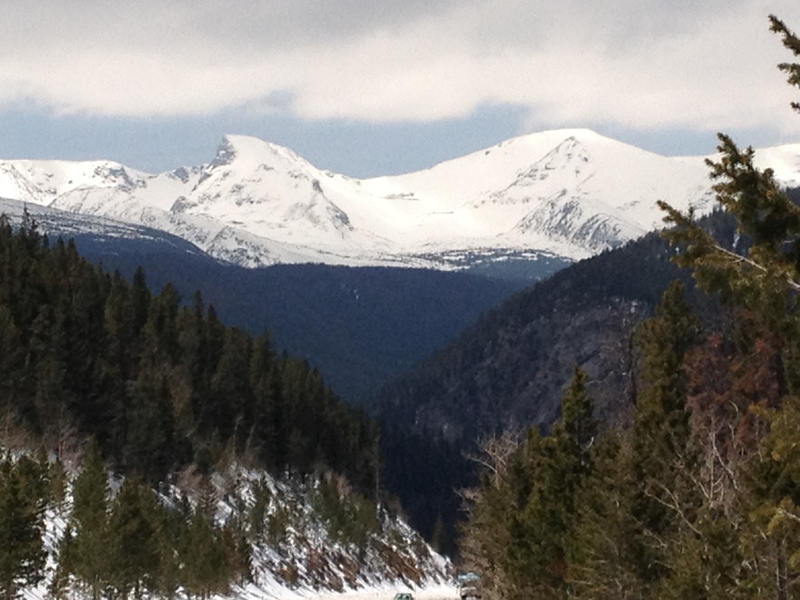 I am not sure which mountain peak this is, it is probably something in Rocky Mountain National Park. I know it’s not Long’s Peak, as I could not get a good picture of it from the road. It was somewhat tougher to get a good picture due to the clouds. However, at this particular point in time, the little window of blue sky appeared in front of us just over the mountain peak, allowing for a good picture. All in all, the Peak to Peak Highway is a pretty good drive. I probably could have gotten in a bike ride or something back in Denver yesterday, or gone for a small hike somewhere in the foothills at a lower elevation, with pleasant temperatures. But, I also wanted to see this famed road, and see first hand what the conditions look like for future hikes in the mountains. The snow does appear to be melting rather quickly. So, I am hopeful that these mountains will be ready for some quality hikes in the near future. However, the current conditions don’t appeal to me at these elevations. Hiking a snowshoeing are two different activities in my book. This entry was posted in Colorado, Scenic Drives and tagged Colorado, Peak-to-Peak Highway, Rocky Mountain National Park on May 5, 2013 by Stephen Jaye.